* Tioga road progress May 1, 2006 – Today, we were able to begin the opening of Tioga Road. Crews made it to Gin Flat. Snow depth is approximately 5 feet and the snow is very wet and heavy. They found three trees buried in the snow, one of which was over 24″ in diameter. * Glacier Point road progress – No progress report was submitted for Glacier Point road which also started today. * Tioga road progress – May 2, 2006 Plowing operations have reached Big Meadow Overlook. The snow depth is now 7 feet with very dense snow. We have run in to 8 buried trees, some over 24 inches in diameter, that had to be removed so plowing could continue. Our hope is to reach South Fork by Thursday. * Glacier Point road progress – May 2, 2006 One half mile from Badger Pass. Snow depth is approximately 7 feet. All is going well. Very heavy snow pack, encountered 8 trees with average size of 18-24 inches. We are now at the first avalanche zone. We are expecting to plow through this first zone early in the morning. If the temps go up considerably, crews may be forced to come back West of the zone until the temps drop or the slope stabilizes. Slow progress with rotary due to snow depth and high water content. Started at South Fork Bridge and ended in the middle of Avalanche zone 1. Snow depth is approximately 6 feet. Quite a bit of rock and trees down in the avalanche zone. Will continue through the zone tomorrow. Still under a mile from Badger. No progress today. Loader mounted rotary broke down and needs to be taken to the shop for repairs. The crew was able to plow 3.3 miles today. They are now at the 8000 foot marker. 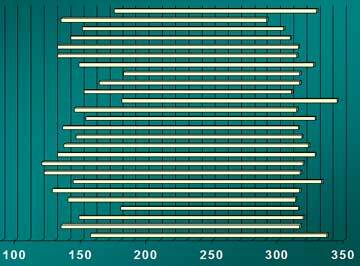 Average snow depth is 10 feet. They encountered 5 trees, 3 over 36″ diameter and 2 over 24″ diameter. No report (though, they were able to get going again with the help of one of the rotaries from Tioga Road). The progress today was only 1/2 mile due to equipment breakdowns. Snow depth was 10 feet. We are approximately 1 1/2 miles from White Wolf. Crews have gone up the road a total of 2.3 miles. Snow depth is approximately 5 feet. Crew has now gone 3.2 miles from Badger. Snow depth is 4 feet. No major problems. Total progress today was only 1/2 mile. The snow is 10 feet deep and very hard. This is normal progress in the area they are in. No work on the road today. The crews were diverted to patch potholes on the Wawona Road. Work will resume Monday. Saturday, the crews finished the day at approximately 16 miles in from Crane Flat. Snow depth is 11 feet. No major problems. Progress is slow due to the deep and heavy snow. Great progress today. The crews are now at Yosemite Creek Campground. They were able to plow 3.3 miles. The average snow depth is now down to an average of 5 feet. Tuesday, May 16 they start going up Yosemite Creek grade. 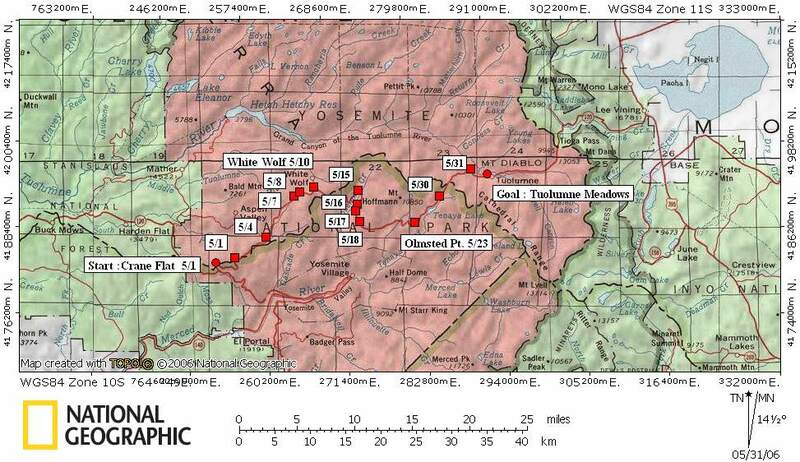 This will be a slower process and will be entering the Yose Creek avalanche zone. Great progress here too. The Wawona crew was able to plow a total distance of 4 miles. They are now 7.2 miles in from Badger Pass. The average snow depth has dropped to only 3 feet. Only plowed 1/2 mile today. Had to stop at the Yosemite Creek avalanche zone. Too late to go on through the zone. Will try to get an ambulance and plow through Wednesday May 17. The road crew is now 8.5 miles from Badger Pass, at Taft Point /Sentinel Dome parking area. Plowing operations have now gone 22.4 miles from Crane Flat. They are now going down toward Porcupine Campground. Snow depth is approximately 8 feet. They are now encountering more rocks in the snowpack and have had to remove two buried trees. They have reached Glacier Point. They are now in the progress of cleaning the parking lots, patching potholes, removing a large boulder from the road, ditching, and sweeping. Forestry crews are also working up on the road. There are quite a few trees that need to be removed along with brushing operations. The road will be open to administrative traffic Monday and barring any problems, should be open to the public by some time late next week. Tioga road progress – May 21, 2006The road crews are about 1/2 mile from Olmstead.The following is the latest observation by the Avalanche Team.What’s ahead Zones 10, 11, 12, and 13 should not be issues. Olmstead is and will continue to be a problem for sometime to come. We have accomplished only one explosives blackening op due to the continuing warm temperatures and high hazard. This operation was accomplished from above the slab with the use of ropes. It was very successful in removing a large area of concern but this process is pretty time consuming and there are many times this area of thick snow left to deal with. At this time it is uncertain if it will be safe for the crews to plow through when they get to Olmstead. The weather forecast calls for much cooler temperatures next week, so we may get a break for plowing and for blasting. Due to the high avalanche danger at Olmsted, the crews were not allowed to plow through this zone. Wednesday morning, they are going to attempt to plow through starting at 0530. If there is a good freeze up there tonight, they will be allowed to plow through the zone. Today, the crew worked at widening the road from White Wolf to Olmsted. We hope to have segment 2, from Walker Party to the Yosemite Creek Bridge, open to the public by Saturday May 27. *Glacier Point road will be open to the public starting early Thursday, May 25th. The crew is now at Tenaya Lake and is trying to go past the avalnche zone at Pywiack Dome. If they get through the may be in the meadows very soon.Glacier Point road is open. 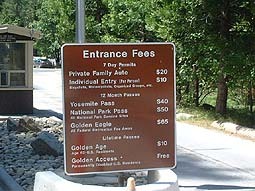 The Tioga Road opened for the 2006 season on Saturday, June 17.